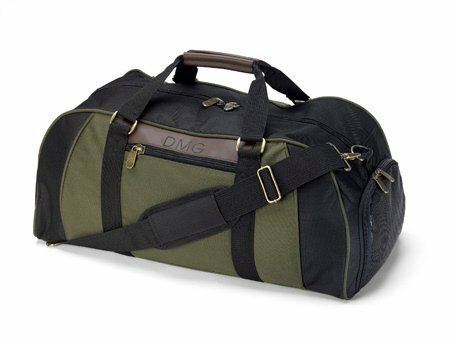 Great for taking to the gym or on travel, this durable duffel bag features water-resistant fabric, heavy-duty zippers, brass hardware, leather-wrapped handles, padded shoulder strap and personalized leather detailing. 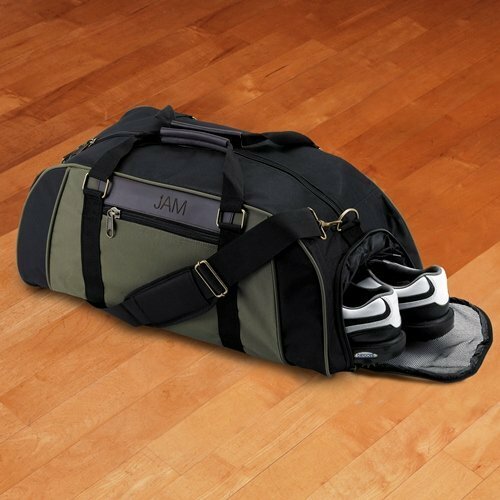 Each duffel bag measures about 23" x 10" x 11" and includes two zippered side pockets, one covered in see-through mesh for easy access to essential items. Note - This item includes a personalization, color, size or design option: First Name (max of 15 characters) (Free of charge). You may specify this information during our checkout process.